The Book Chook: Imagine. Create. Dream. I strongly believe in dreaming. Not the crazy-movie-inside-head dreams when we're asleep, so much as the dreams that spur us on to creating something. That "something" might be an interesting sandwich filling, a collage in shades of lemon and lavender, a cubby house behind the sofa, or a better life for ourselves. We all need dreams, kids especially. That's why I love children's literature so much - it truly helps kids to dream. What do your children dream about? Have you asked them? Do you discuss your own dreams with your kids? You know that I think it's important for our kids to "catch" us reading and writing. It's also vital that we share imagining, creating and dreaming with our kids too. Encouraging them to share their dreams and imaginings with us is the other side of the coin. Of course, sometimes kids will want to keep their dreams to themselves, and naturally we'll respect that. Encouraging kids to dream, imagine and create can start anywhere and anytime. 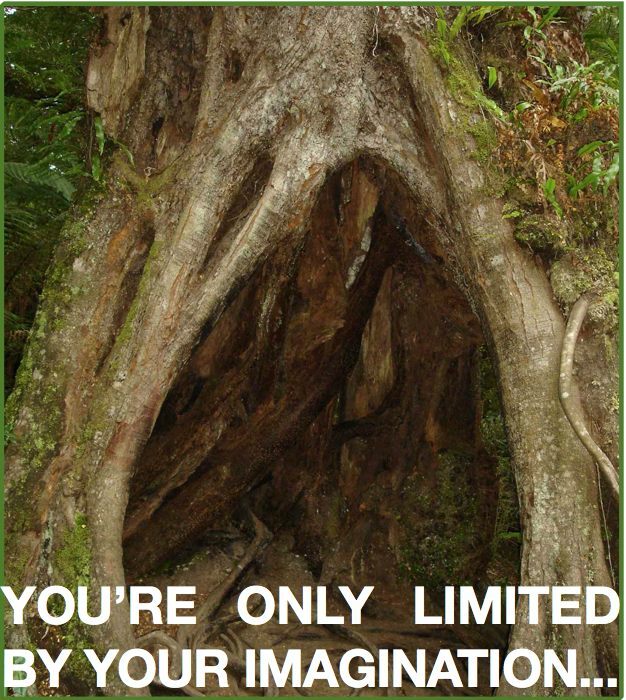 Maybe you're walking in the rainforest when you see a big old tree with a split trunk. Play "what if?" with your kids. What if that were somebody's home? Who might live there? What would that creature look like/do/eat etc? By making creative thinking and musing part of our everyday lives, by being playful and creative ourselves, I believe we're helping our children develop their own creativity. And our world needs creative people. Is creativity important in your home? What do you do to encourage imagination, creativity and dreams in your kids? If you're interested in creativity, click the Creating button in my right sidebar for more posts about this theme. You might also like my Creative Prompt series - you can link to all the posts in the series at New Series - Creative Prompts from the Book Chook. Creativity and imagination is a huge part of our home. I've always encouraged Miss possum in the art of imagination. From a young age she thought Swiper (from Dora the Explorer) was going to swipe her things. She'd say he was behind the curtain or that he moved her chair. She wasn't scared of him thank goodness but she thought and still thinks he's real and I play along. It's just as much fun for me too. I remember those days and especially the day that magic stopped. I'll encourage it in her life for as long as possible. @PennyI think Swiper might live in our house too - he keeps moving my glasses! How wonderful to know you are doing your best to keep the magic alive Penny! I knew immediately from the title that I'd love this post! What a wonderful idea. Children seem to be spending less time out in nature, or creating and imagining in general, but it's such an important part of growing up. I like how you recommend using simple questions to spark curiosity. I think reading picture books together can spark a lot of creative thinking and activities as well. Unstructured time is so important to not only the learning process, but life in general. As we get busier and busier, I appreciate the reminder that some of the most meaningful activities are ones we haven't planned or scheduled, no matter how old we may be! 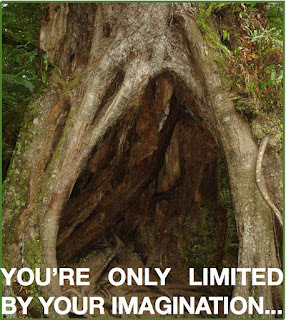 I strongly believe the imagination is everything. In my writing, in my vision of life all of them come from imagination (I am a pisces, so the good Lord bestowed me such a unique "wisdom" to be able to value the imagination). I love kids as because they can use their imagination freely. To me, kids are a source of inspiration. @Dawn MorrisAs usual, you make great points, Dawn! Picture books and unstructured play are hugely important in developing creativity, and yet they are such simple and enjoyable things to incorporate into our lives. Kids inspire me too, elmasitaa! @Green Mama Such a privilege to be an accepted and respected part of that imaginative play, Holly! @maryanne @ mama smiles Something we all need reminding about, me especially at times! @Wise Owl FactoryThank YOU for your support and feedback, Carolyn! A fantastic quote. Thanks for sharing this!